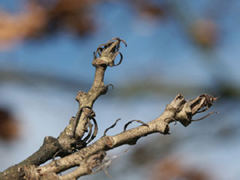 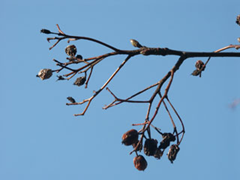 terminal buds of sweetgum. 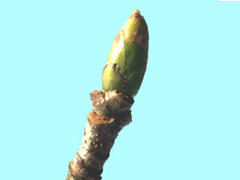 A big and a small bud. 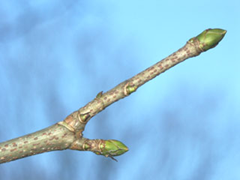 buds of sycamore are big and green. 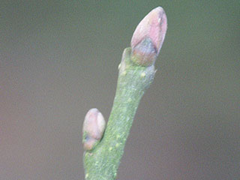 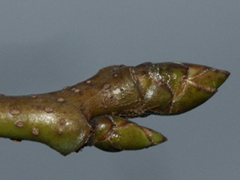 buds of tree of heaven are small at large leaf scars. 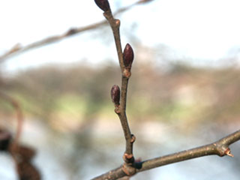 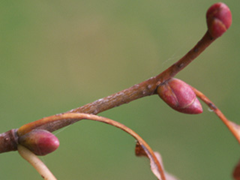 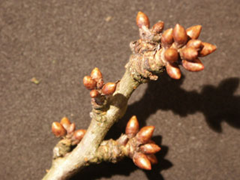 buds of tulip tree are red-brown. 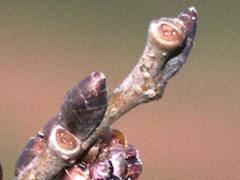 Branches with leaf scars. 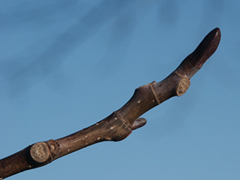 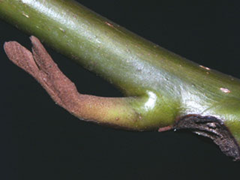 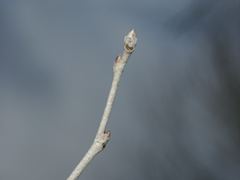 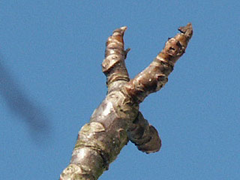 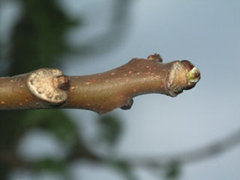 typical axillary bud of caucasian wingnut.